PAUSE: This is your mom on Skyrim. 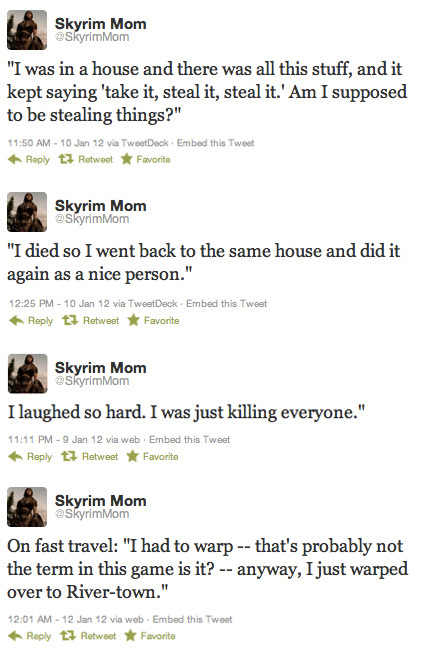 Simple: get your mom to play Skyrim and record the things she says. Bethesda’s community manager Nick Breckon did just that and the results are amazing.